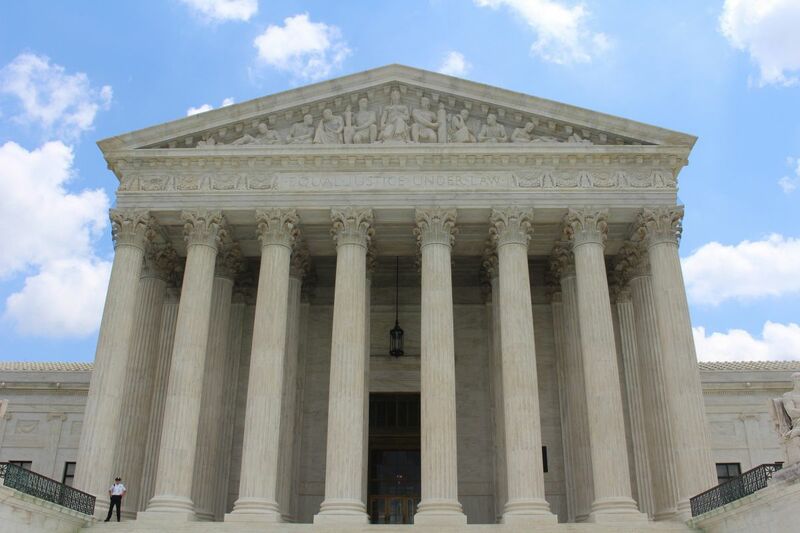 The Supreme Court on May 21 narrowly ruled that employees who sign arbitration agreements cannot band together to sue their employers for unpaid wages. As a law professor who directs a clinical legal program that regularly represents low-wage workers, I believe this ruling essentially allows employers to hide workplace injustices while also potentially making it harder for workers – including victims of sexual harassment – to find justice. Wage theft – which includes wage and hour violations such as paying below minimum wage, misclassifying employees to avoid overtime pay and illegal deductions – is a widespread and underreported problem. For instance, one 2017 study by the Economic Policy Institute, a liberal think tank, found that in the 10 most populous states, 2.4 million workers were paid less than the minimum wage, to the tune of an estimated US$15 billion in lost wages per year nationwide. In the Epic Systems Corp. v. Lewis case, an employee sought to join with co-workers to challenge unlawful wage and hour violations. Individually, an employee’s claim is usually not worth enough money to entice a lawyer to take the case. Collectively, however, employees can spread the costs of litigation. Moreover, by uniting, workers reduce the employer’s ability to retaliate against them. A 2009 study found that 43 percent of workers who complained to an employer or tried to organize a union faced retaliation, such as being fired or threatened with reduced pay. In the case before the Supreme Court, the employers said that because their workers had signed arbitration agreements, they had to pursue any claims individually and could not join a class action lawsuit or arbitrate as a group. Associate Justice Neil Gorsuch, who authored the majority opinion, held that the arbitration act carried the day, reasoning that the labor act’s protections are narrowly limited to organizing unions and collective bargaining. In my view, his opinion rests on a view of the workplace that few workers would recognize. In Gorsuch’s world, employers and employees have equal bargaining power and mutually agree to arbitrate disputes. This equal footing may have been true at the white-shoe law firm where Gorsuch once worked. However, in today’s workplace, most employees must either take it or leave it when it comes to the terms of employment. Over 55 percent of non-union, private sector employees are subject to mandatory arbitration – a percentage that has more than doubled since the early 2000s. Gorsuch also has a very rosy view of arbitration as quick, informal and cheap. Yet if arbitration was so effective at dispensing justice, employees would be lining up to take advantage of this forum. They are not. The Economic Policy Institute found that only 1 in 32,000 employees actually files for arbitration. And arbitration is not free. To begin with, employees need a lawyer if they want any hope of prevailing – although this is nearly impossible in the absence of a class action option. In addition, arbitrators charge hundreds of dollars an hour, and many agreements require employees to pay part of the costs. Finally, arbitration proceedings are not swift, rather they look almost exactly like trials. Indeed, they are often presided over by retired judges, who wield more discretion in arbitration than in the courtroom. Business groups declared the ruling a huge “win” for employers. So why do they favor arbitration? Well, first of all, employers typically prevail, and damage awards are generally smaller than in trials. Second, unlike court trials, arbitrations are confidential and thus keep the facts of the case from public view. In turn, this means that employers do not have to change their workplace practices even if they lose the arbitration. Moreover, employers know that employees lack the resources or wherewithal to file for arbitration, especially when they must go it alone. In other words, arbitration agreements do not just reduce the number of court cases an employer has to contend with, they reduce the possibility of liability altogether. Employers also know that government agencies lack the resources, or political will, to enforce wage and hour laws. And what will be the result of this ruling? In other words, as employers gain impunity from liability, wage violations will increase. Workers will suffer. It will also be chilling for the #MeToo movement, which has made getting rid of mandatory arbitration agreements paramount. That’s because arbitration shrouds workplace sexual harassment claims in secrecy, thus making it hard for victims to come forward while protecting serial abusers. For the sake of American workers, I hope Congress intervenes soon to preserve collective actions and the enforcement of workplace rights. This entry was posted on Sunday, June 17th, 2018 at 2:18 pm and is filed under Phil's Favorites, Uncategorized. You can leave a response, or trackback from your own site.